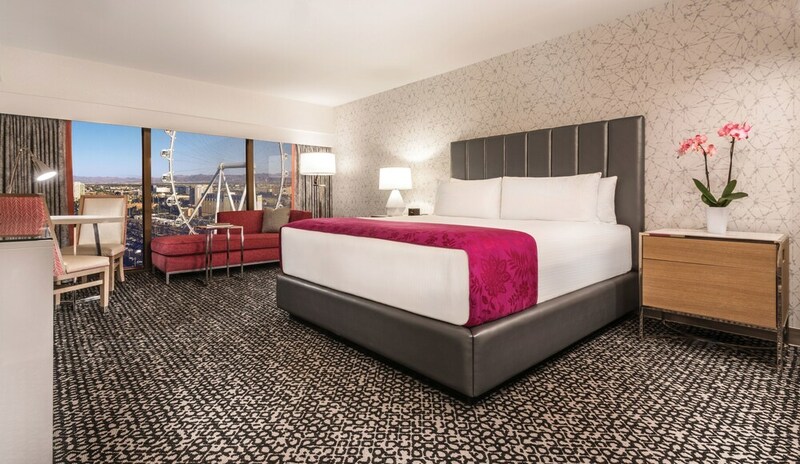 Located in Las Vegas Strip, Flamingo Las Vegas - Hotel & Casino is within a 5-minute walk of LINQ Promenade and within 15 minutes of other popular attractions like High Roller. This 3460-room, 3.5-star resort has 2 outdoor pools along with a full-service spa and a casino. Enjoy dining at Center Cut Steakhouse, one of 5 onsite restaurants. Savor a meal from the privacy of your room with room service, or get a pick-me-up at the 2 coffee shops/cafés. Cooked-to-order breakfast is offered for a fee each morning from 6 AM to 10 AM. Guests can expect to find WiFi and a flat-screen TV with pay movies. The bathroom offers hair dryers and free toiletries. Other standard amenities include a safe, a phone, and an ironing board. Flamingo Las Vegas - Hotel & Casino features a full-service spa, 2 outdoor pools, and a casino. Parking is available for USD 12 per day (USD 20 per day for valet parking), and there's also limo/town car service. The 24-hour front desk has multilingual staff ready to assist with securing valuables and dry cleaning/laundry. Other amenities at this spa resort include a children's pool, a health club, and a spa tub. Flamingo Las Vegas - Hotel & Casino offers 3460 air-conditioned accommodations with safes and hair dryers. Flat-screen televisions come with pay movies. Bathrooms include showers and complimentary toiletries. In-room wireless Internet access is available for a surcharge. Business-friendly amenities include desks and phones. Housekeeping is offered daily and refrigerators can be requested. Start your morning with a cooked-to-order breakfast, available each day from 6 AM to 10 AM for a surcharge. You can order a meal from room service during limited hours.